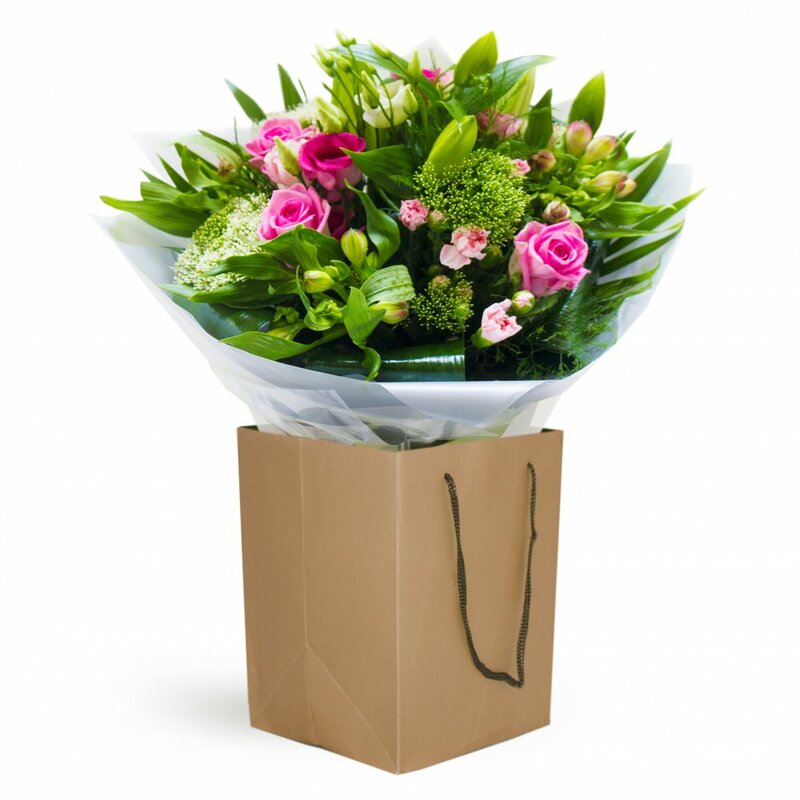 An aqua packed hand tied bouquet with a true touch of nature with a wonderful mix of majestic greens highlighted by subtle splashes of pink. Flowerscene are delighted to offer this hand tied aqua bouquet for delivery in Aberdeen and surrounding areas. Same day delivery is often possible on orders received before 2pm local time.